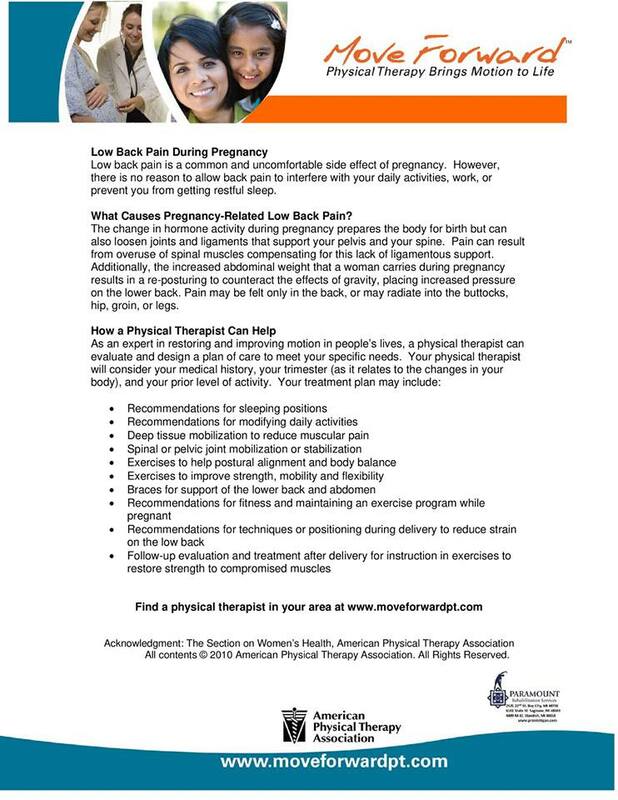 Did you know that Paramount Rehabilitation Services has multiple therapists that are trained to manage and educate you on how to treat low back pain brought on by pregnancy. We offer a wide range of treatments including physical therapy to educate you on how to manage your symptoms while strengthening your core muscles. We can also include gentle stretching and massage therapy to decrease the pain and soreness brought on by pregnancy.